I consider all the information that I post here to be in the public domain. So, you can use it however you want, for commercial or non-commercial use. That said, I would appreciate it if you at least let me know if you are going to use any of the circuits or especially PCB Gerber files to make commercial products, or to sell bare PCB's. There are some cases where products are being sold not only with my permission, but active involvement. 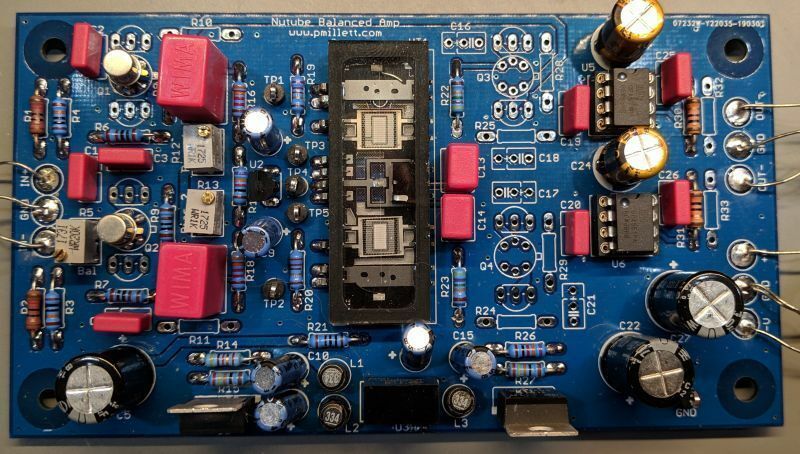 The "Millett Hybrid" effort and others at HeadFi are examples (and excellent models of how the DIY community should work, in my opinion). There are other cases where I have asked vendors to sell PCB's as a service to hobbyists. And there are other cases where companies are manufacturing and selling PCB's, chassis, etc. without contacting me at all. In ALL of these cases, I make no profit from any of the sales. Zero, zip, nada. I have a normal "day job" that pays the bills, this is strictly a hobby with me. So please do not expect me to provide the level of technical support that you might expect when buying a product. I try and help, but it sometimes takes me days - even weeks if I'm traveling for work - to respond. Thanks for your indulgence in reading this! All that said... I do sell things, including projects I no longer need, PC boards for my designs, and occasionally parts and tubes. I do this through eBay - I maintain an eBay store "pmillett". You can click here to see what I may be selling at the moment. This is a depository for various audio designs and projects - mostly tube - that I've put in the public domain, as well as additional info to support magazine articles that I've written, and an ever-growing amount of technical data archives relating to vintage and tube audio. I'm constantly adding and updating things, so come back every once in a while and see what's new. Remember: you may have to hit the "refresh " button to see the updated versions of pages! Follow the links below for detailed info.... Most pictures are hyper-linked to full-size pictures, so you can zoom in if you click on them. Standard disclaimer: This info is provided with no guarantees as to accuracy, usefulness, etc. There's no guarantee that if you try and build anything like this stuff that you won't electrocute yourself, the kids, or your cat, or burn your house down... especially if you don't know what you're doing. Be careful! Many files on this site, especially scanned documentation, are in Adobe Acrobat (PDF) format. I recommend that if you don't already have it you download the latest version of Adobe reader. Some files have compressed images that may not work correctly with older versions of Acrobat reader. Please go to www.tubebooks.org for this material. A 50 watt monoblock version of the "Engineer's Amp"
Software for the HP 8903 audio analyzer - Make professional plots from this affordable audio test system! 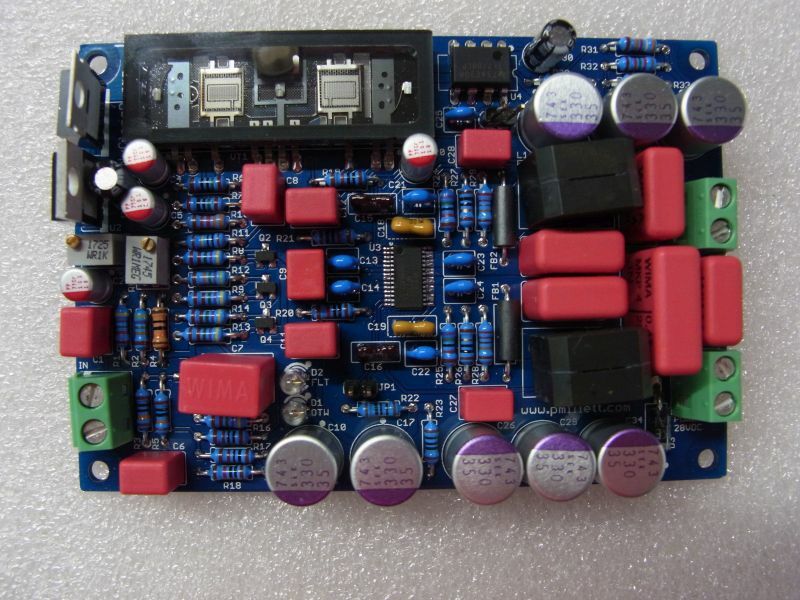 Muting relay PCB to eliminate the "thumps"
"Build A Low-Voltage Tube Hybrid Headphone/Line Amp" (612kB PDF file) from AudioXpress 11/02 - the original "Millett Hybrid". ResCalc, a cool utility program you can download that calculates combinations of standard resistors to get a particular value. A picture collection of interesting old QSL cards that I received in the early 1970's. A lifetime electronics geek, I got a ham radio license at the age of 8 and a first-class commercial radio license at 14. I'm just old enough that I actually build and used tube some stuff when it was still in production. I've been an electrical engineer for nearly thirty years, doing mostly computer and consumer electronics design work. 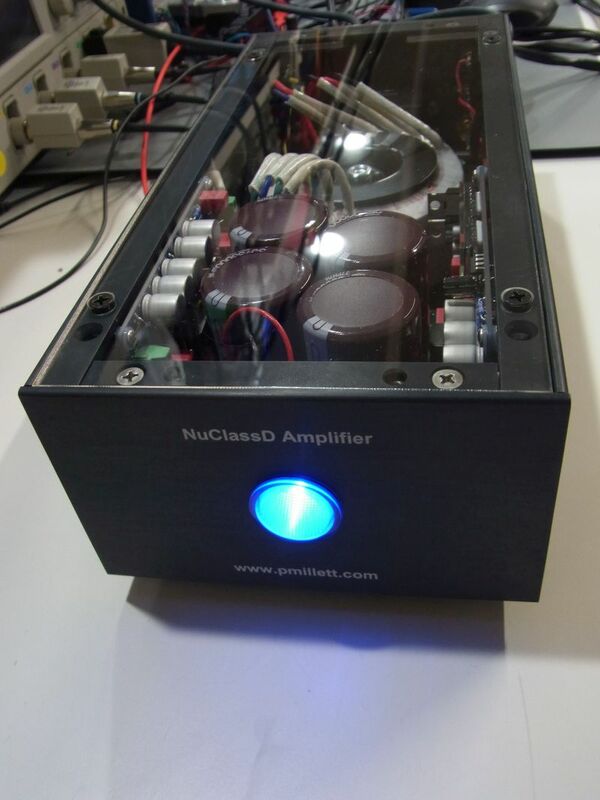 I owned and operated Wheatfield Audio, which made tube headphone amps (but no money!) for a few years. I also have written articles for AudioXpress magazine (formerly Glass Audio) on occasion. I do some commercial audio design work outside of my "day job". Some of my work includes the Apex Hi-Fi product line, which is sold by TTVJ (Todd the Vinyl Junkie). I'm currently living near Fort Collins, Colorado, and work for a Silicon Valley semiconductor company. I've put some info from the old Wheatfield Audio web site here that might be useful, especially if you own an HA-1 or HA-2.